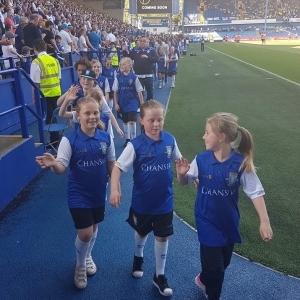 It is the intention of the Sheffield Wednesday Ladies Football Club (SWLFC) to nurture, train and develop committed and enthusiastic girls of all ages, so that SWLFC is acknowledged as a leading Football Club; the benchmark Club for others to follow. SWLFC treats all concerned fairly, offering equal opportunity for girls and women to develop and enhance their skills in a safe and caring environment: - an environment that is family orientated, non discriminatory and free from abuse, in accordance with FA standards. As a Club, SWLFC continues to expand with fully qualified coaches and supportive parents and volunteers at the heart of its development. , to No Scheduled Fixture on . Player profiles for all our senior squads. Including the First Team, Reserves and Development Team. View their position in the team, time spent at the club and their biography with links to their social media. View contact details of our club staff including managers, coaches and assistants for all our senior and junior squads. Entry into our £25,000 jackpot lottery is just £1 per week. Hopefully if we can get all our players and supporters playing this could add up over the year and contribute to much needed funds for the club.